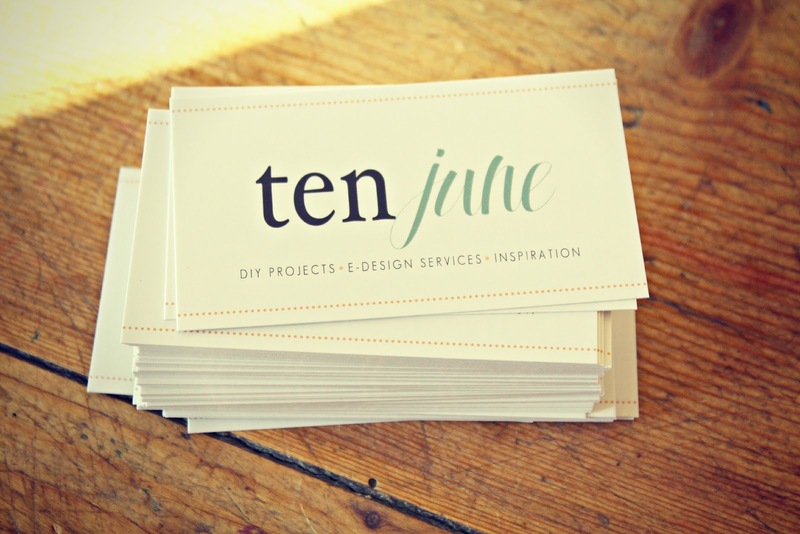 Ten June: Please, Take My Card! Oh yayuh. 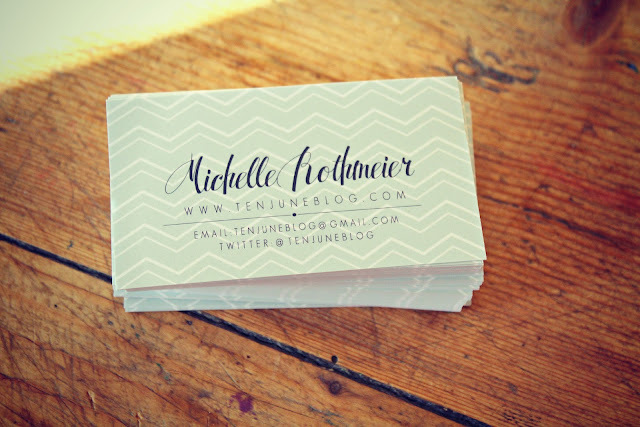 I got blog business cards! The amazing Ashley from Lemon and Lavender helped me design this card based on my new blog design! Aren't they awesome? Simple and sweet, just what I was looking for. 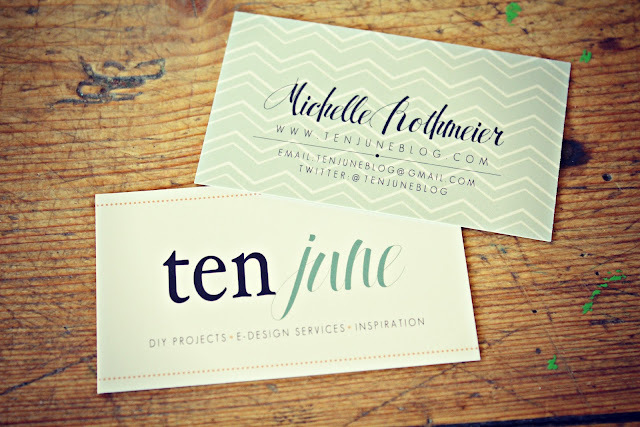 Coming from a girl who has carried around her "real life" business cards for the last four years, these are way cuter. I think they totally say "Michelle!" Wait, they do say Michelle... well, you know what I mean ; ) Very much my style. Way to nail the card's design, Ashley! And the most exciting part is that the cards arrived just in time for the big Haven conference next week! Can you BELIEVE it's almost here? I've never been to a blog conference before (so I'll be that awkward pregnant chick in the corner looking really nervous), but I'm pretty excited about this one. I'm most excited to meet all of you! So tell me, who's coming to Atlanta next week for Haven?! I need to make sure I know who all to stalk look for. Also, does anyone know of an extra ticket available that a friend of mine (the fabulous Katelyn) could buy? If you could pass on any information about that, I'd love you forever. Way to be on the ball, unlike myself, my business cards will be ready on Monday when I am in Nashville, traveling on my way to Haven, so I will be stopping to print them off. Oops! Bad blogger. I'm sure you will not be the pregnant awkward chick in the corner, you will be so excited to meet so many great bloggers, you will have a blast! Love your cards, they look fabulous! I LOVE them!!! She always does such a great job... I'm not attending Haven, but if a bunch of you get together for dinner or something, let me know!!! you are so good... i am so behind or maybe even being squished by the ball. i am bringing cards but they are old and are for my business.... not blog. but i don't have time! So fresh and pretty. Inspiring, just like you! Too cute! And they do just scream "Michelle!"... I'll see you at Haven! Can't wait! They turned out great! My business cards for Haven arrived a couple weeks ago. 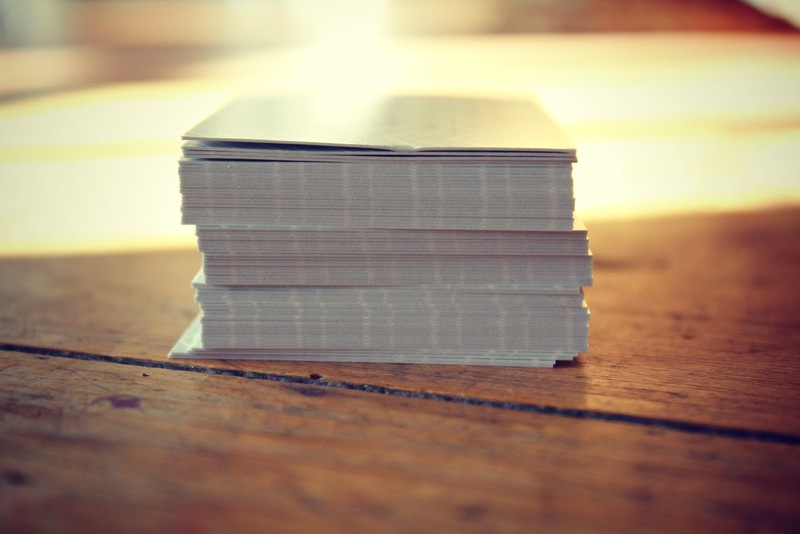 I never thought I'd be so excited about business cards. It's the small things, right? Can't wait to meet you at Haven! Those are fantastic! I love. And I love the photos of them. Well done. You are going to have a blast!!!! They look great! Have the best time in Atlanta! The search for a ticket continues! Love you! Your cards are so cute! I like the little stitching detail. Have fun at Haven! What pretty little cards!! Loving your new blog design as well :) Have a great time at Haven! Oooh, they're beautiful! 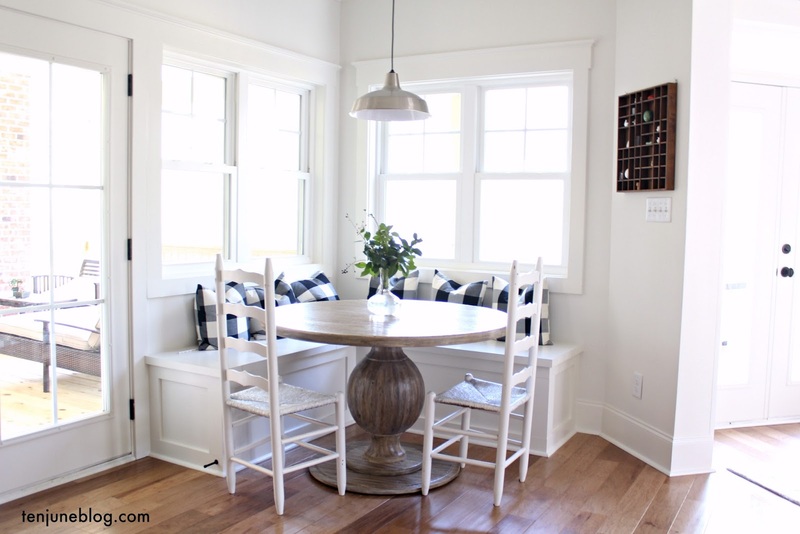 I adore this color scheme--it would be fun to design a room around it : ) Have a great time! Love your cards.....look forward to seeing you at Haven too!